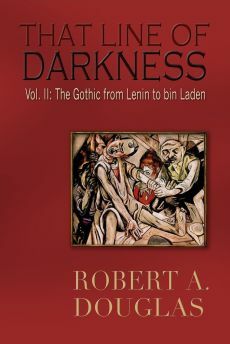 This review, which originally appeared in Critics at Large is reproduced on this site because of the transgression of human decency not only in the fictional counter-factual history but in the populism and ethnic nationalism in our own time, a theme that frequently appeared in my That Line of Darkness volumes. Recent events, not only in America but throughout Europe, have raised the possibility that liberal democracy, the relatively brief experiment – in terms of human history – is in trouble. For a generation, after the German Wall came down and the Soviet Union imploded, it inspired hope. Currently, however, it is threatened by the spectre of illiberal authoritarianism. Liberal democracy requires liberty, the rule of law, and celebrates pluralism based on gender, ethnic and racial equality. What knits these principles together is a respect for truth, a cornerstone principle that requires an independent vibrant media to hold power to account. Illiberal authoritarianism sanctions the powerful to define reality and possess a monopoly on truth. Rather than respect for others, authoritarian regimes sets up a “we” – the ordinary, decent people – against the threatening others: “Mexicans and Muslims in the U.S., Kurds in Turkey, Poles in Britain, Muslims and Jews all over Europe, as well as Sinti and Roma, refugees, immigrants, black people, women, cosmopolitans, homosexuals, not to mention ‘experts,’ ‘elites,’ and ‘mainstream media’,” as the astute scholar and journalist, Timothy Garton Ash, describes. He assails these developments as rampant Trumpismo. In addition to taking over the media, Orbán has also announced the building of a “more massive fence” on its southern borders to keep out migrants that he has described as “poison.” He and his counterpart in Poland, Jaroslaw Kaczynski – the chairman of the ruling party, Law and Justice – have vowed to wage a “cultural counterrevolution” to radically change a post-Brexit European Union. Privately run television in Poland recently called for demonstrations against restrictions on media access a “protest for media freedom”; public TV denounced them as an “attempt to destabilize the state.” According to Sylvia Kauffman, within the last year, thousands of officials “suspected of sympathy with the opposition have been dismissed. Textbooks are being rewritten. Nongovernmental organizations and public gatherings are being regulated.” The Polish example of de-legitimatizing the private media is worth noting since state control of the media would be much more difficult in a liberal democracy under threat. In America, Trump’s chilling assertion that reporters were “among the most dishonest people on earth,” was followed by his chief political strategist, Stephen Bannon, telling the media that it “should keep its mouth shut.” His ploy might increase Trump’s support among his base constituency, given that the popularity of the mainstream media is about as low as members of Congress. It is worth recalling that, in the past, when leaders were caught out in a lie, they were usually punished for it either at the ballot box or in declining popularity. But Trump, no matter how many lies he uttered or whenever he invented stuff, was rewarded with the Presidency on November 8th. 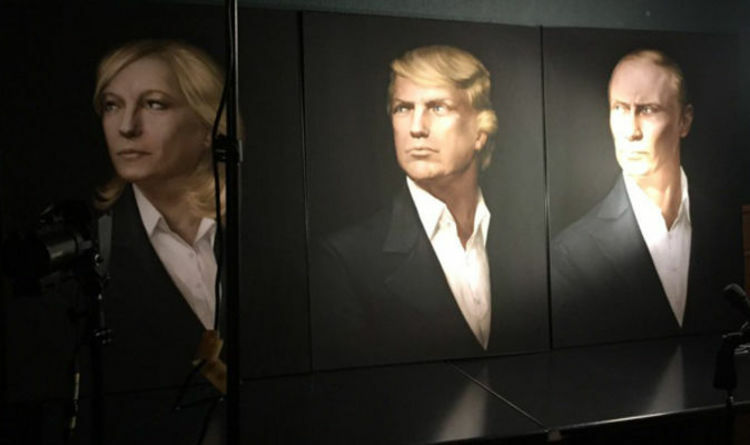 Regardless, the public’s capacity for distinguishing between reality and disinformation will be blurred. 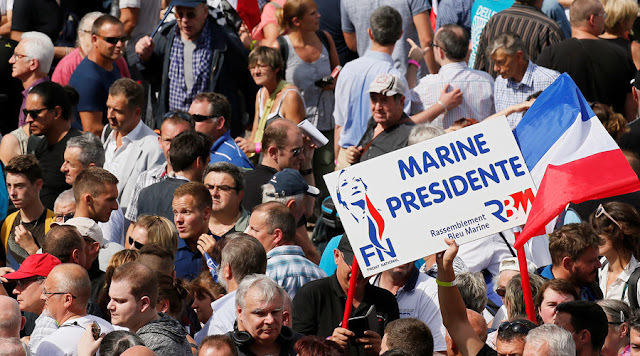 The increasing popularity of France’s far-right National Front Party led by Marine Le Pen who could win the 2017 Presidential election is further testament to the global wave of nationalist populism. She is an admirer of both Putin and Trump. Similarly, Nigel Farage, the former leader of Britain’s far-right UKIP who demagogically fed fear in the British Brexit vote, has been warmly acknowledged by Trump and has been hired as a commentator for Fox News. As I ponder these disturbing political developments, I have been thinking about fascism – not the usual historical suspects on the Continent, but in places such as England in the 1930s where fascism never established deep roots. Yet members of the working class and pockets among the aristocracy flirted with that malignant ideology, warmed to Adolf Hitler, and lobbied for politicians who would seek an honourable accommodation with Germany, thereby avoiding another devastating war like the 1914-1918 Great War. Among its sympathizers were Lord Rothermere, the publisher of the Daily Mail and two of the famous Mitford sisters, Diana and Unity. The most well-known fascist was the charismatic and dangerous Oswald Mosley, the founder of the British Union of Fascists. Kazuo Ishiguro introduced the fascist temptation into his 1989 novel, Remains of the Day, as a secondary theme through the character of Lord Darlington. The novel was adapted for the 1993 film of the same name. Ishiguro portrays Darlington as an anti-Semite and Nazi sympathizer (softened in the film) who wanted to strengthen Anglo-German relations. I suspect that the unspoken love of a butler will be what most readers or viewers will recall, not the politics. The genre of counter-factual historical fiction provides richer soil to explore what might have happened in England had accommodation with Germany occurred. Perhaps the best example is C.J. Sansom's thoroughly imagined thriller Dominion, depicting a Britain that serves as a satellite state of a triumphant Third Reich in which the Canadian newspaper tycoon Lord Beaverbrook, an isolationist pro-German, is Prime Minister, and Mosley is the Home Secretary, while Churchill is the leader of an underground resistance. 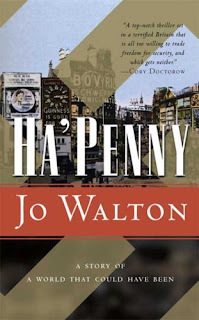 Though not as suspenseful and terrifying as Dominion, nor possessing its psychological acumen, Jo Walton’s Still Life with Fascists trilogy, starting with Farthing (2006), Ha’penny (2008), and concluding with Half a Crown (2008) all published by Tor Books, deserves serious attention. Walton does not alter the structure: all are narrated in alternative chapters by a different female narrator written in the first person while the chapters about the canny, decent detective, Peter Carmichael, are written in the third person. A potential problem for its undeviating and sometimes tiresome structure is that it depends upon a compelling or at least an interesting first person narrator. 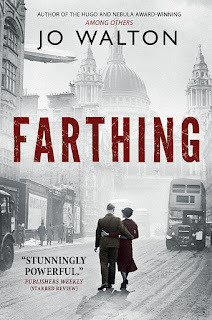 Farthing begins as though it were a country house mystery reminiscent of an Agatha Christie or Dorothy Sayers murder mystery but gradually acquires a menacing political dimension. Sir James Thirkie, the architect of the 1941 peace after Rudolf Hess flew to Scotland on his ‘mission of humanity’ to arrange a separate treaty with Britain, is on the verge of becoming the Prime Minister. But he is murdered with a Yellow Star of David pinned to his chest at the Farthing country house where the influential proto-fascists have assembled for the weekend. The plucky, increasingly sceptical narrator Lucy Kahn, the daughter of the house’s owners, along with her husband David, is unexpectedly invited to join the house party that weekend. After the murder, it quickly becomes clear that David was included so that the murder could be blamed on him. As a Jewish banker in an increasingly anti-Semitic Britain, he is the perfect scapegoat. But Carmichael, who believes in the rule of law and following the evidence, is soon disabused of these increasingly quaint notions by his political superior when he uncovers the real murderer. In what turns out to be an engrossing story, politics overrides truth and justice. Because of his personal circumstances, Carmichael is vulnerable to blackmail. He must tow the political line or be ruined. The ominous ending resonates with the creeping authoritarianism and “alternative facts” of our own time. 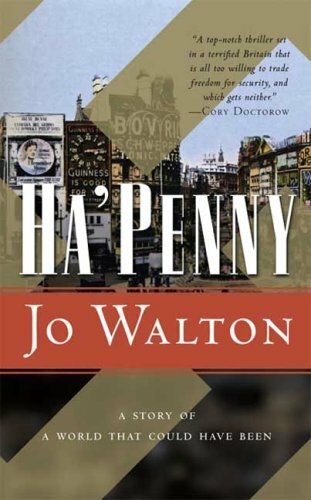 Ha’penny, written more as a political thriller, is the most disappointing novel in part because of its lack of plausibility and the self-absorbed superficial female narrator. Viola Lark is an intellectually vapid actress from a privileged background who is rehearsing a new production of Hamlet, to be performed in front of the Prime Minister and Hitler, on the German leader’s much-anticipated friendship visit to London. Yet apart from travelling to his native Austria and a fleetingly early morning trip to Paris, Hitler never left Germany. Given that the premise defies credibility, what follows is hard to accept. When Viola’s co-star is killed by a bomb, Viola suddenly finds herself back in contact with one of her estranged sisters and pulled into a plot to assassinate the two leaders. Mildly interesting is that Viola is one of five sisters, who are clearly based on the erratic and dilettante Mitfords. Carmichael, the only character to sustain our interest, investigates the other actress’ death and uncovers the murder plot and more government conspiracies. Not surprisingly, he foils the assassination plot, albeit with some anguish, considering that he is a deeply moral man and feels guilt for the compromises he continues to make. The first two novels follow closely upon each other in 1949. I had anticipated that Walton would have provided a more detailed textured England, à la Samson’s Dominion. We are informed that Jews in England, while they aren’t being sent off to death camps as they are on the Continent, are subject to much more overt and blatant racism. Communists and homosexuals are also targeted but whatever violence transpires, often to assure that the truth about government sanctioned murders never emerges, it largely takes place off stage. But in Walton’s novels there is little to compare with Samson’s depiction of the state control of the media, the violent auxiliary police patrols or the Gestapo dispensing brutality from the basement of the German Embassy at Senate House. Instead, Walton underscores the complacency of the British public – at least those members who are not singled out for vilification and persecution. 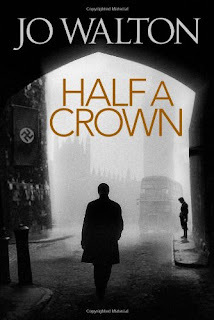 Half a Crown, set eleven years later in 1960 in which Carmichael is now Commander of the Gestapo-like Watch, as well as the leader of the secret Inner Watch, which rescues and ships Watch detainees and Jews to safety. The Farthing Set remains politically entrenched; Hitler is still in power and waging war in Asia. Yet Crown is different in certain respects and the most satisfying novel of the trilogy largely because the female narrator is a teenager. The pairing of Carmichael and Elvira Royston, his debutante ward who at the outset remains oblivious to the evils around her – regarding the rituals of fascism as “fun” – is the most effective juxtaposition of the series. 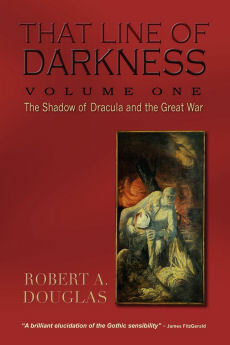 There is character growth and an emotional connection between the two central protagonists, features that are generally absent in the earlier novels. The Carmichael that emerges in these pages – his willingness to take risks, his capacity for caring and revealing greater vulnerability – is not one we have seen previously. Moreover, this novel feels more grounded in plausible reality as the ruthlessness and brutality of the regime is much more visible as they destroy their enemies and silence anyone who is potentially a messenger of the truth. Elvira is intelligent but naive, a product of a fascist society in which she was raised and who has known little else. Walton’s development of her character is persuasive. Initially, she worries about her complexion, her clothes, her girlfriend, and about the coming-out season just beginning, at the climax of which she is expected to meet the Queen. Early in the novel, she is excited to attend a fascist rally, thrilled by the pageantry of uniforms and marching. The rally includes open degradation of Jews, which she hardly notices, a result not of some moral defect within her but of the effectiveness of unceasing propaganda. She has learned that if she sees or hears something suspicious or someone disparaging the government, she should report it. Yet when she hears a conversation between her “uncle” and another woman, she chooses to remain silent and then under pressure, she puts the most benign interpretation on it even when she is arrested and interrogated by the police about Carmichael’s activities. By the time of her second arrest, Elvira begins to recognize that she is a pawn in the hands of Carmichael’s enemies within the police and to understand just how sinister and dangerous the regime has become. 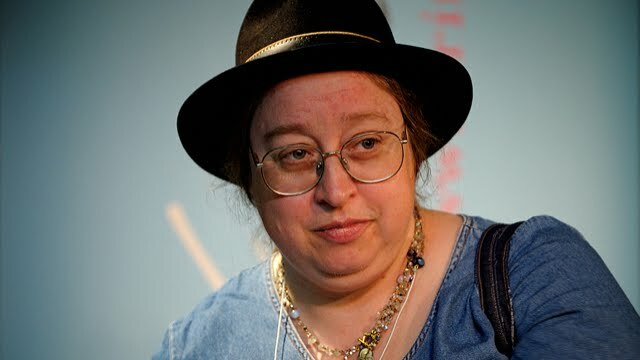 Walton made the decision to focus on Elvira’s character, her innate decency, loyalty and ultimately her courage rather than emphasize – albeit not ignore – a litany of horrors that the regime is committing, including the arrest and interrogation of Carmichael. Some readers may find the deus ex machina upbeat conclusion satisfying wherein the topsy-turvy world set in motion in 1941 is set right with the arrests of the political villains. Having endured the steady drumbeat of fascism, the feeling of relief is understandable. I too was initially uplifted but, given the passivity of the British public, I wondered whether such an ending is plausible. Would a complacent public be energized by a symbolic intervention? I doubt it. At the same time, Walton introduces us to decent individuals, some of whom take enormous risks. The most memorable character in the series – a minor one – initially appears in Farthing to help facilitate the exfiltration of two individuals on the lam who likely would have encountered a terrible fate in England. She reappears in Crown wherein she and Carmichael enter into the most powerful exchange in the entire series – the one that Elvira overheard. I wish there could have been more gripping occasions similar to these passages.